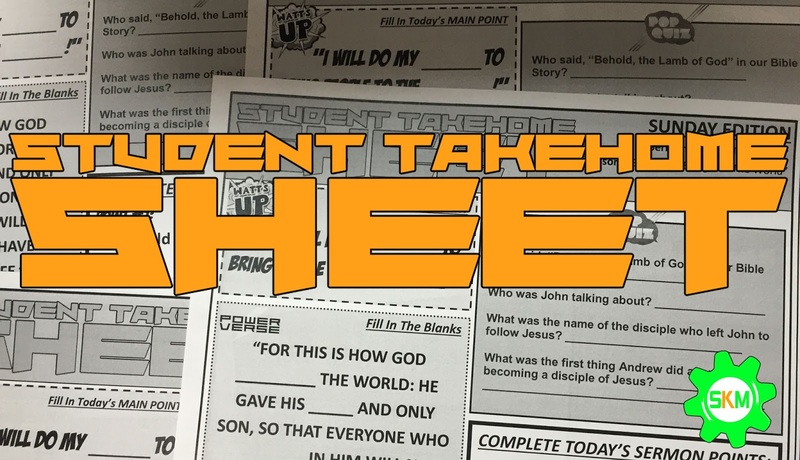 Simply Kids Ministry "A Concoction of Stuff for KidMin": Student Takehome Sheets! Church is OVER. Mom and dad are HUNGRY. Kids are HANGRY. What do they do?? They drive to a local restaurant. About every Sunday after church, families tend to go out to a local restaurant for lunch. As they arrive to their destination, a waiter hands the adults their menus and to their kids a kids menu. We’ve all seen it. Kids immediately forget about food and their attention is now focus on the activities and coloring that the kids menu provides. Come on, you’ve seen it happen with your kids. My very own daughter does it every time. A minute a go she said she was hungry and now she not! What is it about that kids menu? Why is it so POWERFUL? Lol. So, something within me said, “Victor! You need to provide a similar tool just like that for kids church”. So I did! I created my very own “Student Takehome Sheet”. What a perfect opportunity for kids to recap/show their parents what they just learned in kids church that day. It makes you look good and the kids look good. In my kids church, as kids complete their “Student Takehome Sheets”, they can bring them back to receive “WOW Money” to use to buy stuff at our “WOW Store”. 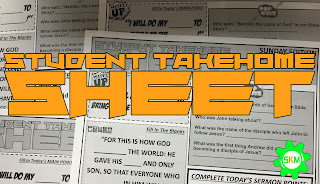 So I want to encourage you to create a “Student Takehome Sheet” for your kids church.